This article will take you through my mind as I analyze Free Agents in a majority of fantasy basketball leagues. I will break down the free agents in different categories, and from there you can decide when you want to pounce on a player. If you have any fantasy basketball waiver wire questions ask away. This is the story of the decline of Dalembert, and the opportunity for Jordan Hill to finally emerge as a great fantasy option. Samuel Dalembert has been dreadful as of late. In the month of February Samuel is averaging (4 Points, 3 Rebounds, 1 steal, 1 block, 17 Minutes). Those numbers will not get the job done for any owner fantasy wise. Jordan Hill is getting back to 100% recovering from the flu. If he has a big game Thursday Night he will be on everyone’s radar. Even if he doesn’t Samuel Dalembert is fading, and Jordan Hill is the guy who is going to take over. Hill has the potential to put up Roy Hibbert type numbers. If you need 3PTM, Gibson could be as good as Jason Terry if not better. The problem for Gibson has always been minutes, and despite having a nice fantasy game with Kyrie Irving injured. Gibson has only surpassed 30 Minutes one other time all season. He is an inconsistent option, and right now he is competing with Ramons Sessions and Alonzo Gee for playing time. Once Sessions gets traded, Gibson owners should be the big winners. The Triangle Slash (Nickname for this trio of fantasy options). 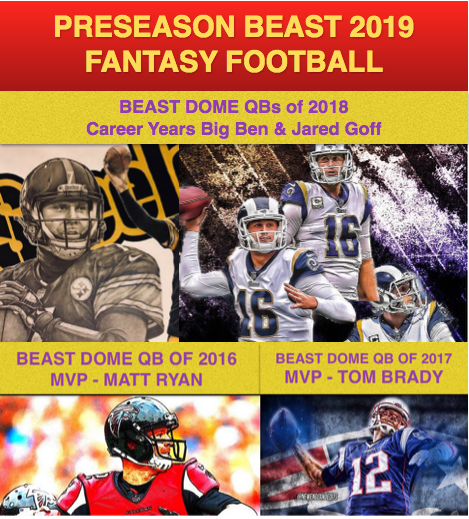 Each have the potential to be great fantasy options, but they all compete with each other and you can never predict the safe option for the night. Chase Budinger is probably the best overall offensive player of the bunch. Courtney Lee is the most dependable as far as consistent production goes. Chandler Parsons is Mr. Intangible as he can fill up the stat sheet but is very inconsistent. In the long run I like Chase to emerge from the pack, but that will only happen with an injury or trade. All three should be on your waiver wire as of now. I know Eric Gordon is not back yet, but when he is that rotation could be a headache for all of them. Gordon’s knee is a concern since there is no guarantee he doesn’t get shut down early when the Hornets are eliminated from the playoffs. Jarrett Jack is looking at the highs of his fantasy season in the rear view mirror. Greivis Vasquez is too valuable to that team not to get 30 Minutes a night. It is possible all three can co-exist, but it is going to be tough especially playing for a poor team. As of now none of the players above should be on your waiver wire. Teague is on the verge of giving up everything he has worked towards, to a non-threatening PG/SG who has very little skills in Kirk Hinrich. Luke Ridnour may be a better player than Kirk Hinrich, yet Jeff Teague is doing nothing to separate himself. If Teague misses any time with an injury, or Hinrich continues to be a steady player off the bench. Then we are going to have a complete timeshare. When Teague is playing well he can play at a Mike Conley type fantasy production level. In the long run I expect Teague to end up with more fantasy value, but he better start stepping up his game before he turns into bench material. Which could turn into waiver wire material..
With no Danilo Gallinari in the picture, I expect Rudy Fernandez to become a great fantasy option. The problem is Aaron Afflalo was paid way too much money by the Nuggets in the off-season to not get 30+ Minutes a game. Once the Nuggets realize that Fernandez is way more dynamic player of an offensive player, I expect Rudy to be a great fantasy option. If Rudy can finish out the weekend strong, I would strongly recommend picking up the Spaniard who can single handily carry you in the 3PTM category. With Kevin Love coming back, the fantasy basketball world is back to square one with Derrick Williams. Michael Beasley is easily the 6th man off the bench who will continue to shoot the ball at a ridiculous rate. Since his return he is averaging about a shot attempt per two minutes played. Martell Webster is a very talented combo forward who never has gotten the real chance to show off his skills. Derrick Williams showed off his great young potential while filling in for the suspended Kevin Love. When Kevin Love was playing last week, Derrick Williams was seeing less than 20 minutes a game. As a result Martell Webster was getting more PT than the rookie from Arizona. I expect this time around, Williams will get more minutes than Webster. I would use this more as an opportunity to sell Williams high for some value. Maybe grab a declining Jeff Teague. Ben Gordon just came back from his injury and now poses a threat to either Rodney Stuckey or Brandon Knight. My feeling is Stuckey will be affected by this far more than Brandon Knight. The Pistons future player is Brandon Knight, and Rodney Stuckey was not very dominant while Gordon sat with his shoulder injury. Once the Pistons are eliminated from the playoff run, I expect Brandon Knight to be a must-start fantasy option. Maggette is supposed to return this weekend. D.J. Augustin is supposed to return Monday. That will leave Reggie Williams as the likely man out of the rotation. Reggie has been playing to well to not be an important role player for the Bobcats, but the Bobcats shuffle their lineup like Tara Reid at your local bar. Right now Reggie is a short term fantasy option, while Maggette and D.J. get their game back. Kemba should continue to start and not lose value, as he is the face of the franchise. Mullens is the weakest center in the NBA. Bismack Biyombo is the rawest center in the NBA. Together you have a bad fantasy situation. If I had to pick one I would go with Biyombo and his rebound/block/steal potential. Both should be left on your local waiver wire. Booker is the perfect complimentary player to the lanky athletic Javale McGee. Booker will snag up rebounds and is a great low post scoring option. I am worried about Andray Blatche, and his soon to be return in a couple weeks. But even then Blatche has an up-hill battle to get his spot back as he was in the coaches’ dog house before the injury. Splitter is far more talented than Dejaun Blair. He also has better offensive potential than Tim Duncan. But unfortunately Tiago’s playing time is completely unpredictable. Good news is, that could change very soon as Blair is easily playing himself out of the starting role. As for Duncan, the schedule after the all-star break starts to bunch up, which could lead to a lot of DNP’s for the Veteran. Especially after the Spurs clinch their playoff spot. For now he is a good player to stash for the long run. Foye is an explosive scorer with great steal potential. The problem with Randy is the return of Eric Bledsoe, which could be any game now. Another threat to Foye’s fantasy value is Mo Williams. When Williams is hot, he gets the majority of the playing time. Either way Foye should up some big nights when you least expect it. J-Craw is one the most explosive players in the fantasy basketball world. He was easily the MVP of the fantasy playoffs last season, and with the Wizards heading towards early elimination, they will find ways to increase his playing time and opportunities. He has potential to score in the 20 point range consistently. Crawford also adds great 3PTM, steal, and surprisingly high assist potential. Make sure he is not just sitting on your waiver wire as he can change your teams complexion at the end the season. Nikola is Marcin Gortat 2.0. With playing time he will dominate with double-doubles, and should be decent with the block/steal combo. The wolves appear to be done with their Darko phase as it is time to pass the torch to the Yugoslavian Hitman. Lin City is taking over New York. The Knicks seemed to be dead in the water with Point Guard problems all season. Finally someone stepped up, as Jeremy Lin is playing like a fantasy beast. Baron Davis had a set back with his injury, and Iman Shumpert is more of a sixth man than a starter. Which leave Jeremy as the most capable guard of leading his team. His value will go down a little when Melo and Amare are healthy/playing. I can’t see either of them giving up too many of their combined 35 FG Attempts per game. For now enjoy the fantasy stardom while it’s here. Dunleavy is the best shooter on the Bucks, especially when Brandon Jennings is failing to hit more than 5 shots in a game. The Bucks might bring Mike off the bench, but it does not mean he will rack up the Points and 3PTM in a hurry. He has scored in the 17+ Range 6 out of the last 10 games. Turner may only be getting 20 Minutes a game, but his potential with 30+ Minutes would make him an elite option. He fills up the stat sheet the same way Dwayne Wade does. Of course getting those 30+ Minutes will always be a challenge with how deep the 76ers run at the guard position. It would be wise to stash him on your bench in case of injuries, or any rotation changes. The Raptors are in desperate need of a true scorer with Andrea Bargnani out. Enter in Jerryd Bayless who has the fantasy potential to be a Monta Ellis type player. One day. For now expect the Raptors to give Bayless as many opportunities as he needs to be a viable fantasy option. If Calderon were to get traded, Bayless would be close to must-start material. The Suns want Frye to be their guy, but his consistency throughout the season has been quite disappointing. He is starting to gain more confidence in his stroke exemplified by his recent scoring. If he has a good finish to this week, I would consider starting him in a majority of fantasy leagues. His 3PTM, and block potential makes him an outstanding fantasy player. Daye is one of those players that can play like a top 5 option at the forward position if given the consistent minutes. Eventually that time will come to him as the Pistons are heading nowhere quick. Daye can get; blocks, steals, 3PTM, rebounds, and points in a hurry. If you have been following my articles all season you will know that I refer to James Johnson as Gerald Wallace 2.0. The reason for this comparison, is because nobody will rack up blocks/steals like this forward out of Toronto. He is an immediate impact fantasy basketball player, and although inconsistency has been a problem. He also has never really had the opportunity to be a consistent starter since college ball, at Wake Forest where he averaged 1.5 Blocks, 1.5 Steals as a Sophomore. If you need blocks/steals, there is no reason to leave this dynamic option as a FA. J.R. averaged over 30 Points a game in China. Everyone in the NBA already knew he was a prolific scorer. But to average over 30 a game will bring him amazing confidence when he comes back to the NBA which is sooner than most people think. His team was mathematically eliminated from the playoffs which means his season in China ends NEXT WEEK. From there he will come back to the NBA, probably sign with whatever team will give him a nice 1 year deal to come off the bench. Lakers would be a great fit. He will rack up about 2-3 3PTM per game, to go along with excellent steal numbers, and most importantly…The chance for 20 Points off the bench. There are not many players in the NBA who score like this guy, and if you want him in your fantasy league you should probably get that waiver claim ready now. He is a difference maker, and if lack in the 3PTM or scoring department. You might as well pick him up now instead of watching another team snag him away. He will probably be playing in a NBA game by the end of the month. The Bobcats have too many options that are all decent. Gerald Henderson does not have any offensive skills that really separate him from the pack. With Corey Maggette and D.J. Augustin healthy, the shot attempts will not be there consistently for Henderson. I do not want to waste more time with him sitting on my bench injured. Brewer had some good fantasy value over this Luol Deng injury stretch. While he continues to get the starts, and good minutes, I would drop him knowing his upside is coming to an end when Rip Hamilton returns. Soon he will be competing with Kyle Korver every night for minutes. I have given up on the former #2 pick in the NBA draft. Even with Teague dissolving as a consistent fantasy option. Marvin Williams is still doing nothing to impress. Let other fantasy owners deal with the inconsistent forward. Blair is one of the worst starting centers in the NBA. A double-double for Blair is almost like hitting the lottery as he has done the accomplishment 4/27 games. That is terrible considering he hasn’t done the feat since January 13th. Thanks so much! I needed a SG/SF, and just dropped Kyle Korver for Mike Dunleavy. Hey Munt, I noticed that you mentioned a lot of opportunities opening up for Houston players, yet as a Kevin Martin owner, I cant help but worry about the way Martin’s been playing. Everyone that played today for the Rockets scored more points than him, and everyone also received more minutes. Do you know why this is the case? And should I worry about dealing him away now? As a Kevin Martin owner it is important to know that he is one of the best scorers in the NBA, and that is why you drafted him so high. Eventually this rough storm will pass with him and his coach, and if it lasts more than a couple weeks I would worry. You are going to get some bad trade offers such as Jeff Teague value, and you cannot accept these horrible deals. Just know his trade value is at an all-time low and the deals you get now will probably all be around a week from now as well. Stay tight, and watch the situation closely. I will be sure to update the situation as it develops. who to trade and who to trade for? Try to get Danny Granger for either Roy Hibbert or Andre Iguodala. Try to get Joe Johnson for Roy Hibbert or Andre Iguodala. Try to get Channing Frye for Al Harrington. Try to get Marcus Thornton for Al Harrington. Try to get Dorrell Wright for Al Harrington. If none of those trades work out, then keep looking out for more waiver wire claims in this article. i’m willing to trade AI for joe johnson. i think that the other owner would accept. do you think it’s fair and useful for my team? . btw, thank you for responding! If you can get Joe Johnson for Al Harrington…Then you are the winner by far in this trade. I do not think the other owner will accept, but it is worth the try. You probably have to add Greivis to the package. Nice website! I found it yesterday while trying to improve my fantasy basketball team. I’ve bookmarked it. This is my first year of fantasy basketball and I’m currently in 4th ( I was 1st, but lost the past 2 weeks straight). I’m not really sure how to improve from where I am. Would appreciate any advice. It’s a 10 team h2h. Thank you Munho. 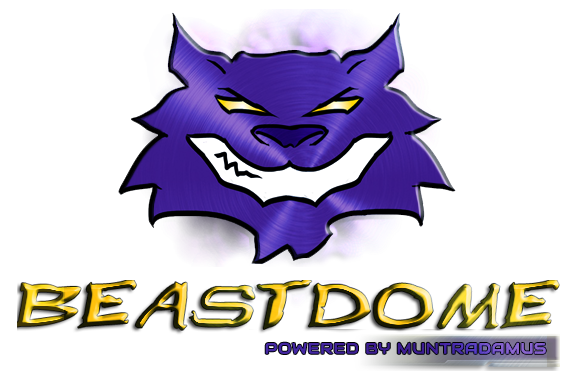 Look forward to having you on Beast Dome. The catalyst of your team is the center position. You should dominate every team who tries to compete with you when it comes to big men. Your forwards are all solid as well. Serge blocks shots with the best of them. Josh Smith has elite potential when he puts it together. Ryan Anderson is a bit inconsistent. While Shawn Marion is losing value with the emergence of Dirk. But still his fantasy value remains decent. Your guards are a good bunch. Jason Terry has decreasing fantasy value as the Mavs get deeper at the guard spot. Nash is solid every night, and his value will increase when he gets traded to a contender. I do not see any weakness, and later on this weekend I will post an article about specialty players which could help you figure out what trades to make. Tyreke Evans is the guy I would look to trade from your roster. With Thornton back you just get some random clunkers from a star type player. Thanks for your input Munt. Even though this is my first season, I’ve been trying to learn and improve my team as much as possible. Josh Smith was a trade that just went through and I got him for Monta Ellis. I thought Ellis has been pretty inconsistent and my guard group was good enough. Smith was ok in my eyes because he surprising brought a lot of assists and steals and hopefully (fingers crossed) more consistency. I think the guard area is my next concern because it’s likely that Marion will mostly sit the bench for me and spot fill. At guard though, I’d like to do something about Morrow. He gives 3’s and pts and my other guards are already giving me lots of both (and Anderson). I’ve been thinking of dropping Morrow for a different guard. A lot of decent names are still available on the wire. Potentials on the wire: James Johnson, Lou Williams, Jeremy Lin (I have 2 straight PGs already), Augustin to name a few. If you have any ideas on who I could get for Evans I’m willing do deal him. He’s been decently consistent this year (more than Ellis I think). I’m slightly obsessed with all this to be honest. It’s good to have a discussion about strategy. I only know 2 of the guys in my 10 team league and neither really talk much fantasy basketball. Thanks! Drop Morrow for Lin. Lin has amazing trade value right now and you can get a lot for him even if you have no lineup space. Drop Jason Terry for Lou Williams. Williams is a more consistent version of Jason Terry. You have to find a way to add James Johnson. Dropping Marion is a bit extreme, but if I had to pick one for the rest of the season. I would go with James Johnson. Well, I picked up Lin and dropped Morrow. The league isn’t big on trades so I’m not sure I can get anything for him, but I can ride the wave while it’s good at least. Also available on the waiver is Antawn Jamison. So it really should be Jamison, Marion or Johnson? My only issue dropping Terry for Williams is the steals. Steals isn’t a great category for me and dropping Terry for Williams decreases that. Weak spots include Marion and Terry maybe? Jamison seems to have come on as of late. And I’m cautious about Johnson because he’s so inconsistent. Antwan Jamison is one of the hottest players in the NBA. He was a top 7 round draft pick in all fantasy leagues. Anderson Varejao is out for at least a month, meaning Jamison is going to have be a HUGE contributor, more so now. Antwan should not be a Free Agent in any league, and I would pick him up quickly for Jason Terry, or Marion. Personally I feel Terry has a small role on your team, and J.R. Smith will be just as good if not better in a month. So you can waive Terry. Thanks! I waived Terry and picked up Smith. Of course it will be a little bit of a wait for him, but I have a lot of overlap the next 2 weeks so losing a body for that time isn’t a big deal. I was thinking of targeting d wade or Kobe on another team who just lost Varejao. I keep hearing the praises of Brook Lopez. I’m wondering if I might try and trade Bynum + a pg/sg on my team for Kobe or Wade and then pick up Lopez. Am I crazy or jumping the gun here? Pekovic should not be a free agent in any league. Neither should Brook. Find a way to get both on your team, and then yes you can trade Bynum and something else to acquire Kobe. Also, forgot to mention it’s possible to pick up Pekovic as a replacement if I can trade Bynum. Which of the free agents on that list could help me the most and who (if anyone) on my team is droppable for them? I’m trying to pull off a 2 for 1 trade to upgrade my PG situation, but it’s slow going as my league is very trade reluctant. At the moment Ty Lawson (for DeRozen/Holiday and Okafor) seems like the most attainable, though I’m considering offering Okafor, Holiday and DeRozen/Stuckey for Kemba Walker and Serge Ibaka. Either move will free up a spot obviously. Thanks as always. Randy Foye and Daniel Gibson are also in Free Agency. Last update, I also dropped MarShon Brooks to fill out a spot in a close matchup. He’s still on FA. Should I pick him back up? I’m worried about him seeing less time when he returns. He will see less time when he returns. I would let someone else deal with the headache of inconsistent minutes, and inconsistent production, as the Nets get closer to 100% healthy with Brook. Foye is best left for 12 team leagues right now, but I would put him in the short term category. Daniel Gibson is still waiver wire material. Both trades sound fair and their is a good chance they happen. The player I would move on your team is Samuel Dalembert. His value could go back up, but I think it is more likely Jordan Hill replaces him as the season goes along. Out of those available Free Agents. Dunleavly/Vasquez is the best short term. Crawford/Daye are the best long term. Jordan Hill is still a question mark, but could be an impact player. I would leave him on the wire. I just picked up Jerryd Bayless and Jeremy Lin to help me with assists. Was that a bad move, and if so, who should I try replacing them with off the waiver wire? MarShon Brooks and James Johnson are now available in my league. I’m debating if I should drop Vasquez for one of these guys or hold. Vasquez played great when he got the minutes (pts, assists, steals), but didn’t look so hot coming off the bench behind Jack. Was hoping to see if Monte Williams would make any adjustments, like starting Vasquez at SG, but looks like Jack might be out again today. It was only one game, and against the Bulls, but if Vasquez plays like this coming of the bench, it won’t be any better when Gordon comes back. Right? I’m thinking I’m better off dropping Vasquez for Brooks or Johnson who both get starters minutes. I think Brooks is slightly better than Matthews, but when Lopez comes back, he might take a few less shots which will make him just like Matthews. What do you think? Well, I know NJ needs Brooks more than Portland needs Matthews. Also, my team has been biten by the injury bug, so I’m worried that after his toe heals, his achilles could still be a lingering problem…something I’m familiar with as a former owner of Hawes. As for Johnson, he gives you great steals & blocks (two stats that I need help in) but the rest of his game is inconsistent. As you say, he has G Wallace 2.0 potential, but I don’t know. What would you do in my situation? And which do you think is more likely to happen: Brooks staying healthy, Johnson fulfilling his potential, or Vasquez producing off the bench? I want to believe James Johnson is going to show Gerald Wallace 2.0 potential more consistently. I do not believe MarShon Brooks will see 30+ Minutes a game consistently for the rest of the season when he returns. Coach Avery Johnson has already made the hints, and Brook Lopez will be taking more shots in that offense. Something he did not deal with earlier. I do believe Vasquez will be a decent fantasy option until Eric Gordon comes back. After that he will cancel out Jarrett Jack’s fantasy value. If I were you I would play Vasquez tonight, then pickup James Johnson. He is a potential game changer in all fantasy leagues. Name Game: J Johnson or T Booker? Two consecutive good games..Hop on the Gerald Wallace 2.0 Train while you can. should i pick up lopez for Allen? Yes make that move immediately. As soon as Brook Lopez comes back, he will be a top 15 player at that position with the chance to move up quickly. Tony Allen was great while it lasted, but now Quincy P. is part of that rotation along with Mayo. Thanks Mun, yea I forgot about Avery Johnson’s hint about reducing MarShon’s mins. JJ probably makes the most sense since he’ll be getting the most mins of the three, and he fills cats of need. Have a great weekend! Chase Budinger or Teyshaun Prince? Go with Tayshaun for now as nobody will be picking up Chase anytime soon. Hey Mun my only options at small forward right now are Jared Dudley and Ervan Ilyasova, Im not real big on either these guys. I think Ilyasova could be a great small forward option for me if he could get rebounds and score on a consistent basis, but that is yet to be seen. My question is should I go ahead and drop one of these guys for Wilson Chandler or JR Smith? Also do you think I should drop Raymond Felton for Grieves Vasquez? After tonight dropping Illysavoa would be a bad move. I can see the benefit of dropping Jared Dudley for J.R. Smith. Smith’s season in China will end this week, if not soon. I would hold onto Felton for Vasquez despite Raymond doing very little to impress. Vasquez does have some downside to his value, especially if Jack returns and plays well.